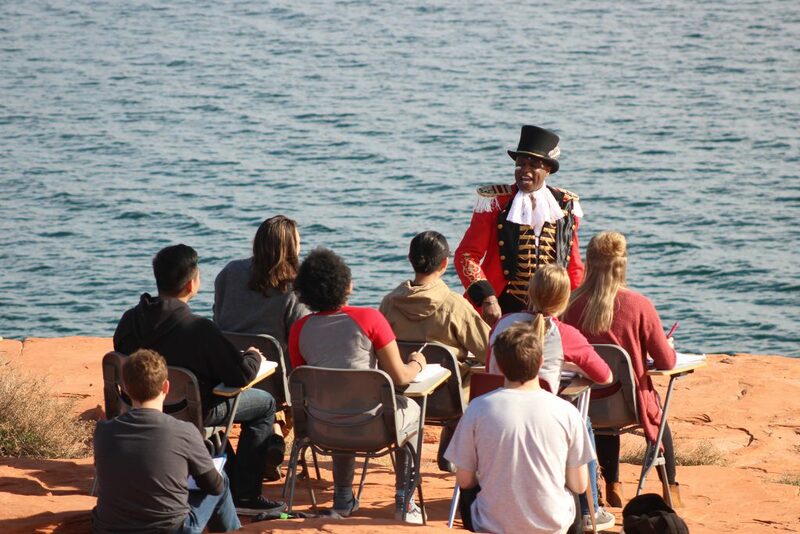 HURRICANE — A 200-person children’s choir, a full orchestra and African-style drummers in the Southern Utah desert are all part of what singer Alex Boyé described as the “biggest project” he has ever done. 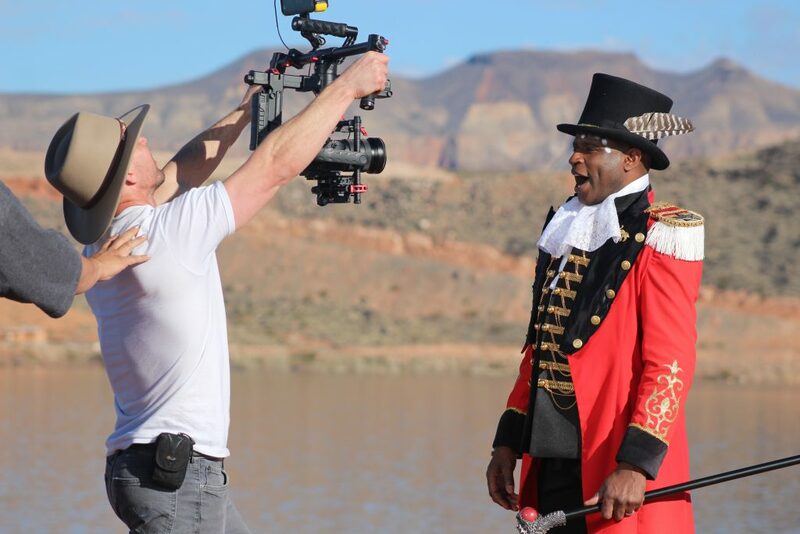 Boyé, a British-American singer with millions of YouTube views, is making his next music video in Southern Utah with the help of the Dixie State University film department. 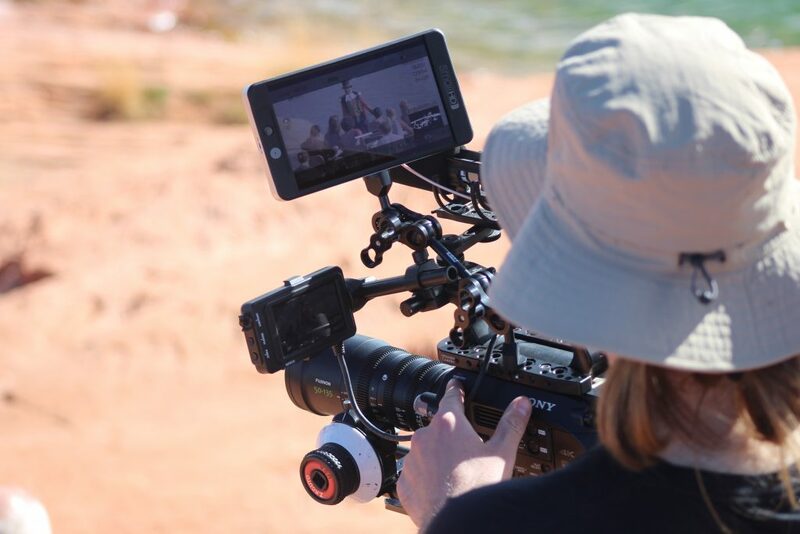 The video showcases several different locations in the area, including Snow Canyon State Park, Dixie Rock and Sand Hollow Reservoir. 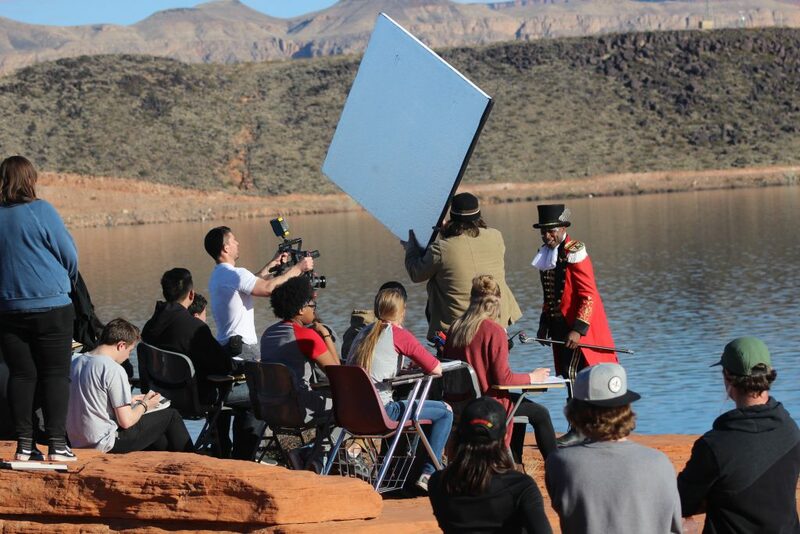 The video, which will feature a version of a song from the 2017 film “The Greatest Showman,” is being produced by the Dixie State marketing and communication department. 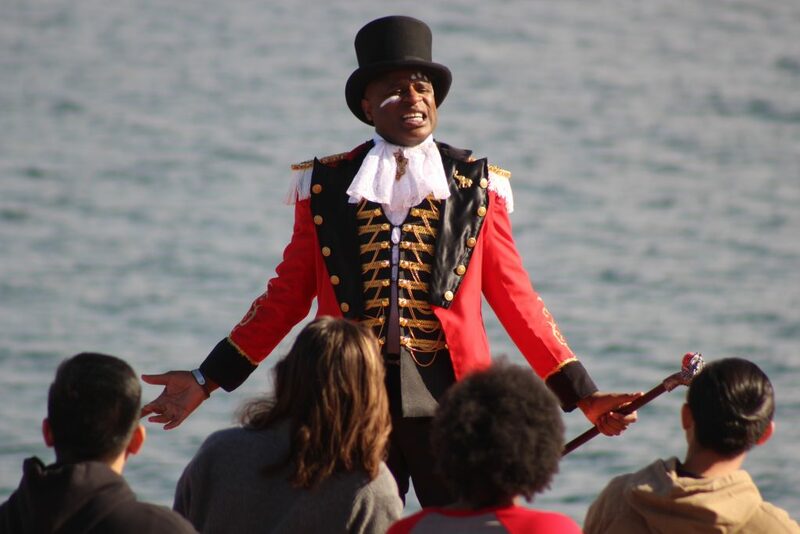 Dressed in an old-fashioned red suit complete with a top hat and scepter, Boyé sang and danced with different musical groups from the community and university, including 200 children from local elementary and intermediate school choirs who sang from atop Dixie Rock, also known as the Sugarloaf, on Red Hills Parkway in St. George. The project is Boyé’s biggest and has taken the most amount of time, he said. While most of his videos only take one or two days to film, Boyé said this one is taking at least six. Parts of the song in the video were also sang by Dixie State University students and a children’s choir through Lisa Seegmiller Studios, who recorded parts of the song that were then sent to Boyé’s producers in Boston, he said. Dixie State film students are the ones filming and editing the video, Sharp said. 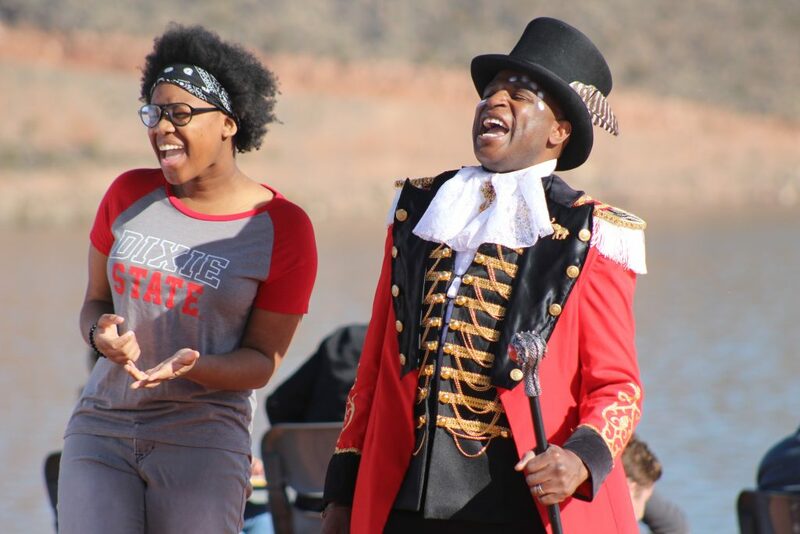 The story of the music video will follow a Dixie State student from Nigeria as he arrives at the university and begins to chase his dreams, Sharp said. 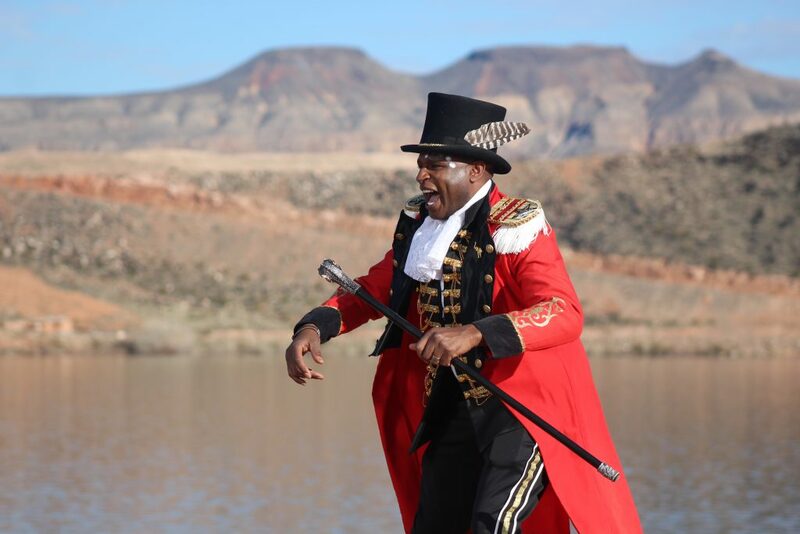 Boyé, who plays a genie-like character in the video, takes the student to different scenic locations around Southern Utah to find a passion that is right for him. The video will also highlight some of Dixie State’s academic programs, Sharp said, and serve as a marketing tool for the university. 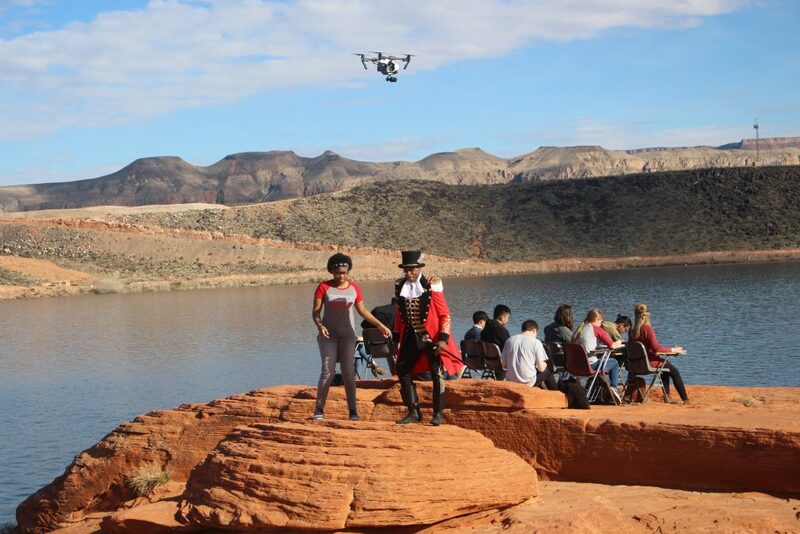 Some of Boyé’s most successful music videos have been shot in Southern Utah, he said, including one where a piano was lifted to the top of a cliff by helicopter for a shoot with The Piano Guys. Once completed, the music video will be posted on Boyé’s YouTube channel. 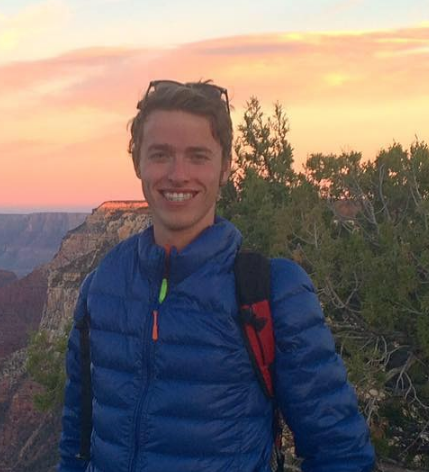 He is also performing at Dixie State on Saturday; tickets are $10 and available online.